On World Animal Day (Oct. 4, 2015) Lisa Vanderpump led the world, including the U.K., China, Canada and the USA in a united march to speak up for the dogs endangered by the Yulin Dog Meat Festival. Canada and London echoed their support by holding their own demonstrations on World Animal Day in honor of Lisa Vanderpump's peaceful march and protest in LA. Chinese and Taiwanese activists chimed in, sending in photos of their support all weekend, particularly ones where they held Stop Yulin Forever signs, verifying international support. 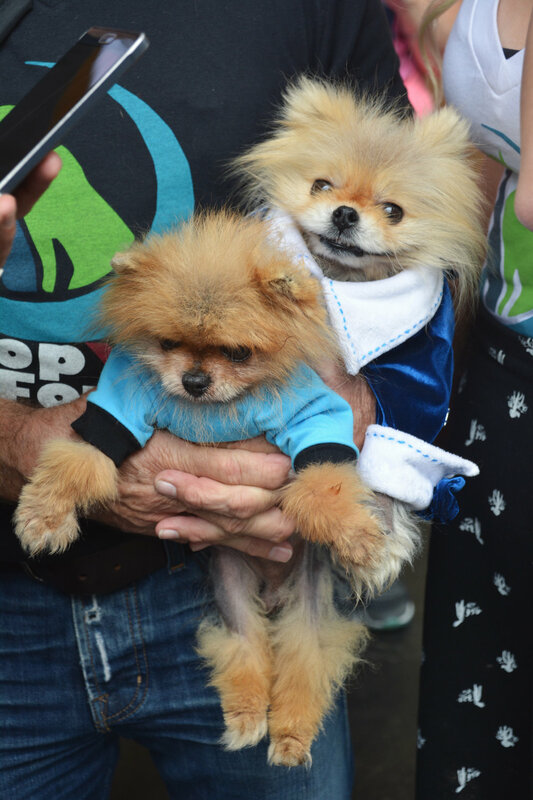 Lisa Vanderpump and the rest of her Stop Yulin Forever team were joined by approximately 1,500 supporters who turned out for the peaceful march and demonstration. Lisa opened the day with an emotional speech about her involvement and need to help her furry friends.